Make an impact that can be touched & felt. We live in a world where everyone and their dog (or cat) has a website – seriously, pets rule the Internet. You need to make a tangible impression that turns a meeting into a sale. A physical, in-hand touch point triggers yet another sense, putting you top-of-mind with your clients. Array solidifies your brand message with premium, dynamic marketing materials. 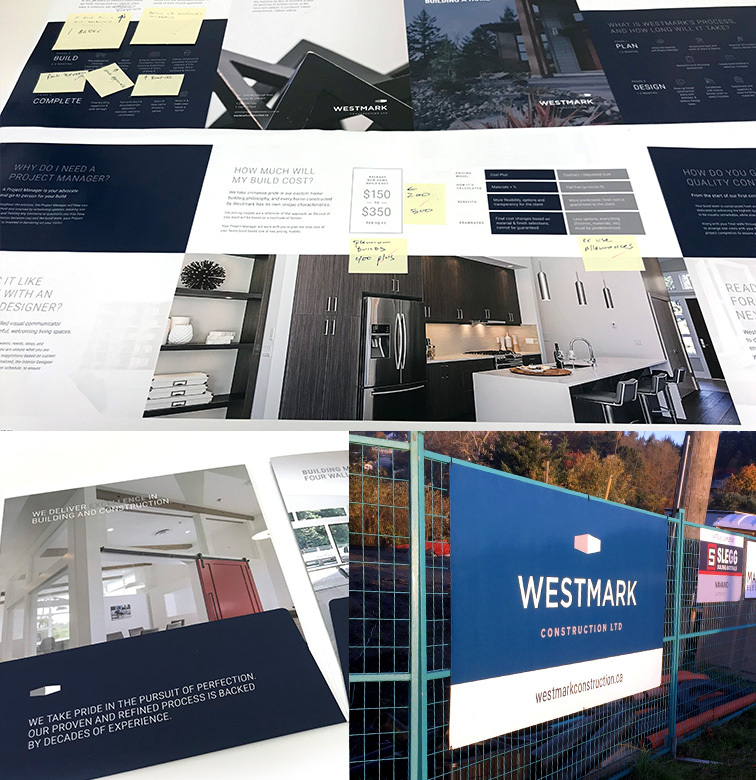 Cohesive site signage, stationery, in-hand brochure & more for Westmark Construction. 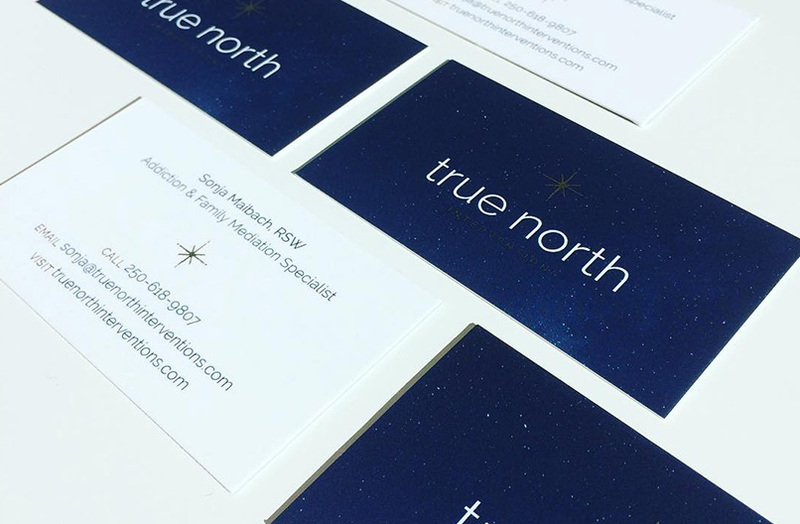 Award-winning business cards with gold foil details for True North Interventions. 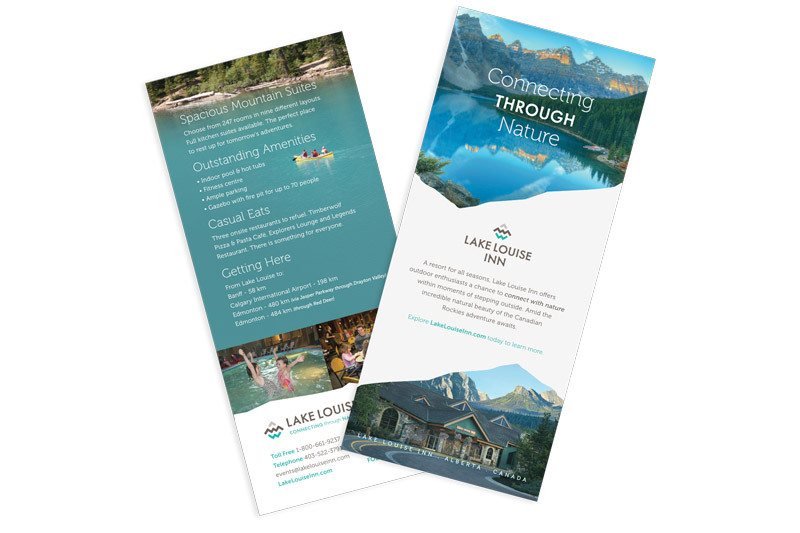 Sales, Marketing & Promotional Collateral and more for Lake Louise Inn. Make your clients stop & take notice.